The New York Times is seeking to more than double its digital subscribers by the end of the decade, according to a new strategy memo shared with employees on Wednesday. "What's needed adds up to a transformation of the company," Times Company CEO Mark Thompson and Editor-in-Chief Dean Baquet wrote. Noting that its digital revenues have doubled in the past five years, to $400 million, they said the company's new goal is to double it again, "this time to $800 million a year by 2020." "Achieve that and we will secure our journalistic mission for the long term as well as create one of the world's most successful digital content businesses," they wrote. The Times, a pacesetter for the journalism world first in print and now online, recently surpassed the one million digital subscriber mark. But most of the company's profit continues to come from its beleaguered print business. "For all that we've accomplished, our digital business is not yet close to supporting the scale of our ambitions," an 11-page strategy memo says. The memo, titled "Our Path Forward," describes steps the news organization will take to become truly mobile-first. It was jointly signed by newsroom leaders, the editorial page editor, and the company's business executives, signaling a unified approach to digital growth. The document affirms what many outside analysts have been saying for years: That subscribers, not ads, are the key to the future of The Times. The news organization has to keep its current subscribers happy and convince many more households to hand over credit cards. "We need to move with much more urgency," the strategy memo says. "Our overarching aspiration is to cultivate another generation of readers who can't imagine a day without The New York Times," the memo says. "Our first two million subscribers — including our more than one million newspaper subscribers — grew up with The New York Times spread out over their kitchen tables. The next million must be fought for and won over with The Times on their phones." The memo indicates that The Times will "expand our investment and refine our approach" in the video and conference arenas. It also emphasizes ways to make paying for The Times easier. "As our subscription model approaches its fifth anniversary, we know it must be updated with simplified pricing options that reflect our readers' multiplatform lives," the memo says, adding that "we are actively testing to find the right price and approach." In other words, paying for The Times might become cheaper, with the idea that it'll be stickier — leading more users to keep paying for a longer period of time. The company will also invest more in marketing. 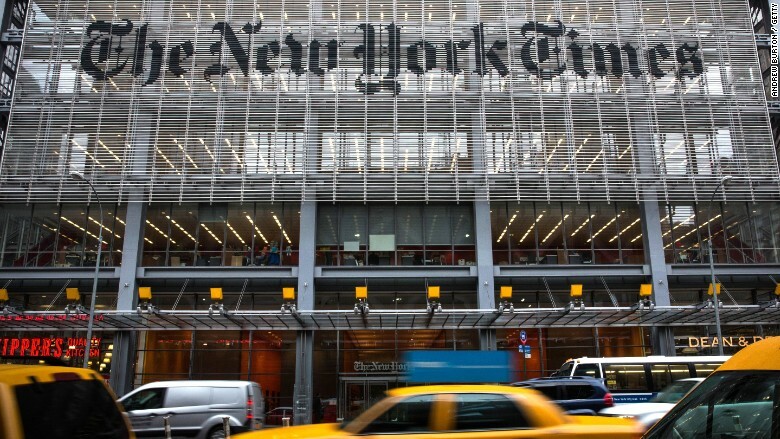 "We must get better at demonstrating and communicating the unique value of reading — and especially paying for — The New York Times," the memo says.